Wake up each morning to breakfast and a Starbucks® latte at the Coffee to Cocktails Bar. Get your fitness on at the 24-hour Fitness Center, or lounge by the outdoor pool. 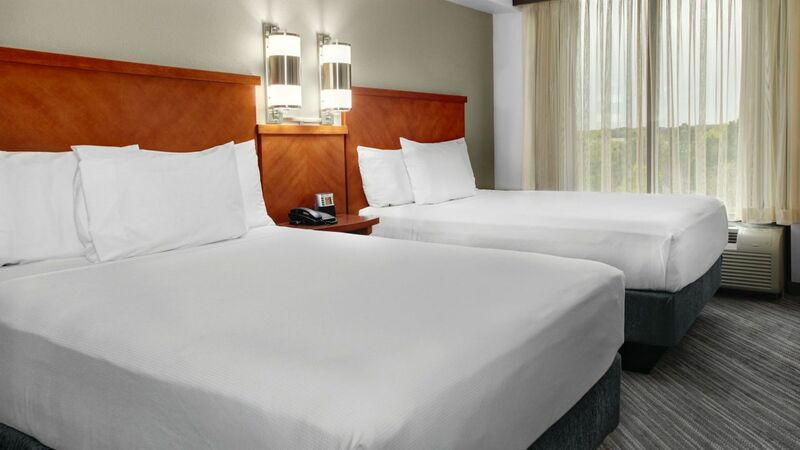 However you choose to spend your mornings or afternoons, you can rest easy when it's time to go to sleep in your luxurious and comfortable plush Hyatt Grand Bed®. 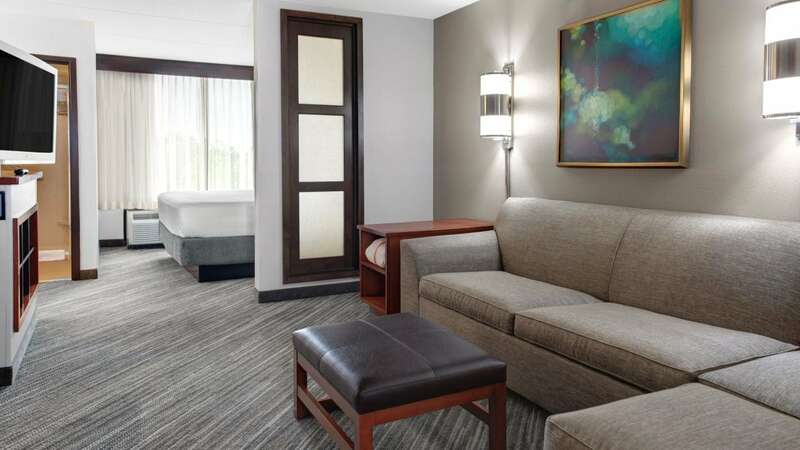 Stay stress free in 360 square feet of space in our ADA-compliant guestroom featuring a king bed, work desk, bathtub, wet bar, and Cozy Corner with sofa-sleeper. Have a carefree stay in this ADA-compliant, 360-square-foot guestroom featuring a king bed, Cozy Corner with sofa-sleeper, wet bar, work desk, and a roll-in shower. 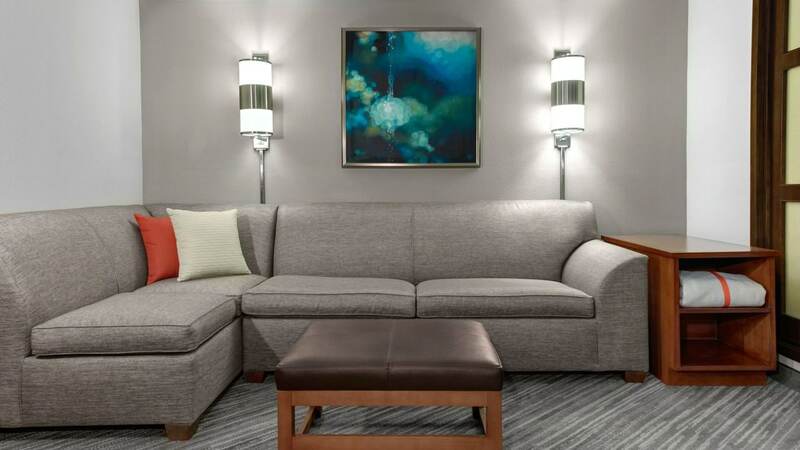 Rest easy in a serene experience in this 300-square-foot, king-bedded guestroom featuring a Cozy Corner with sofa-sleeper, workspace, and wet bar. 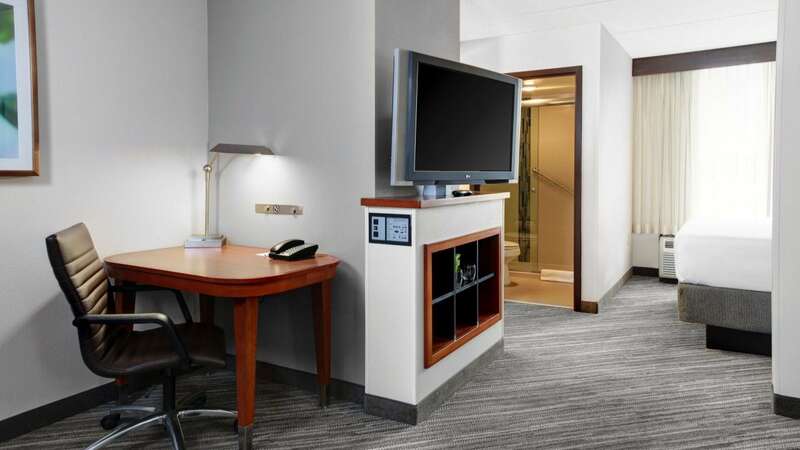 Experience a comfortable stay within 300 square feet of space in our two-double-bed guestroom boasting a Cozy Corner with sofa-sleeper, wet bar, and work desk. Feel fully rested within 405 square feet of space in our two-double-bed guestroom featuring a Cozy Corner with sofa-sleeper, wet bar, and workspace. 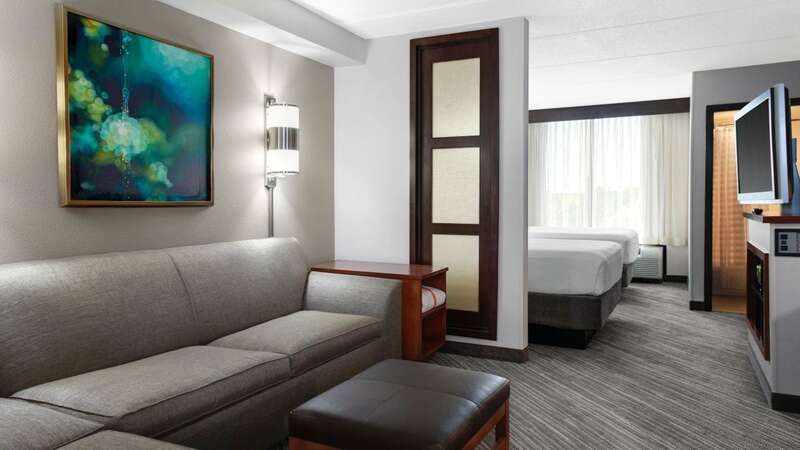 Enjoy a comfortable stay in our 360-square-foot guestroom complete with a plush king bed, work desk, wet bar, and a Cozy Corner with sofa-sleeper.